Bert Seabourn is an internationally renowned expressionist and I’m lucky enough to say he’s my mentor. I wanted to evoke the vibrance he brings to his own work and the kindness in the face of the man himself. One of Bert’s favourite symbols is the kingfisher. 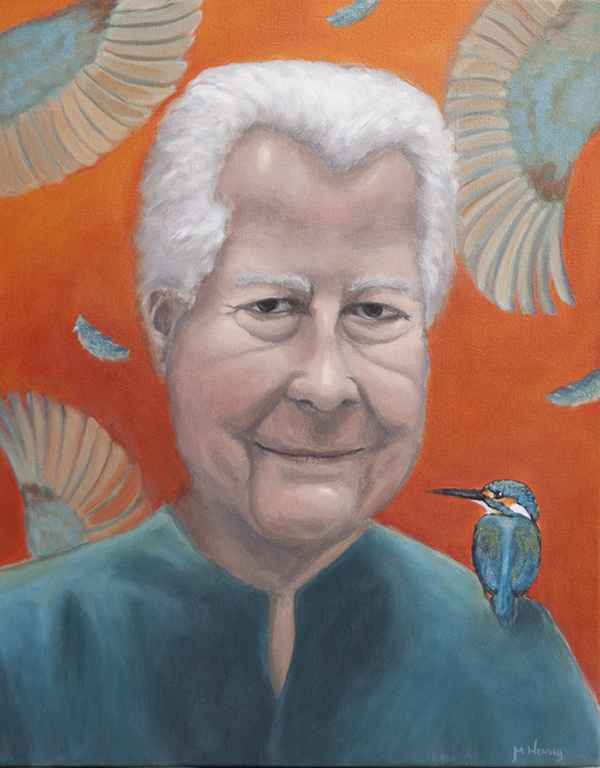 The kingfisher is a medicine animal of great importance to the Cherokee and Bert puts them in his own paintings as a symbol of boldness, courage and skill. So the colours of the kingfisher dominate the painting, their wings extended in pursuit of their purpose – elegant and swift, with an uncanny accuracy.